Clearly South Florida’s most popular tourist destination, Miami Beach is home to thousands of lucky residents. This stretch of land between the Atlantic Ocean and Biscayne bay is call by locals “The Beach”. 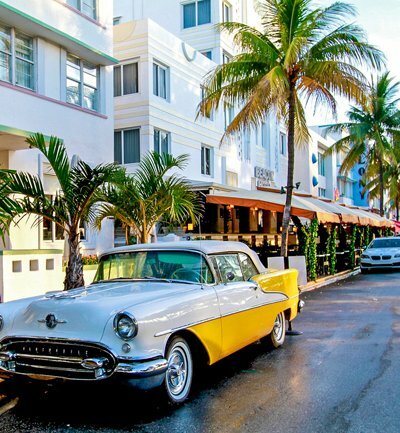 Miami Beach offers a multiplicity of lifestyles. You can live in flip-flops year-round, and use your bike to take you places, or you can enjoy a short commute to Downtown or Brickell to work every day and take the beach walks for Sunday mornings. Your furry friend will love the beach love and will have many furry neighbors, as the beach is one of the most pet friendly neighborhoods of Miami.